Your father has dementia and can no longer keep track of time. When a shift for your father is scheduled for five hours, you want to know that the caregiver will be there for the full five hours. 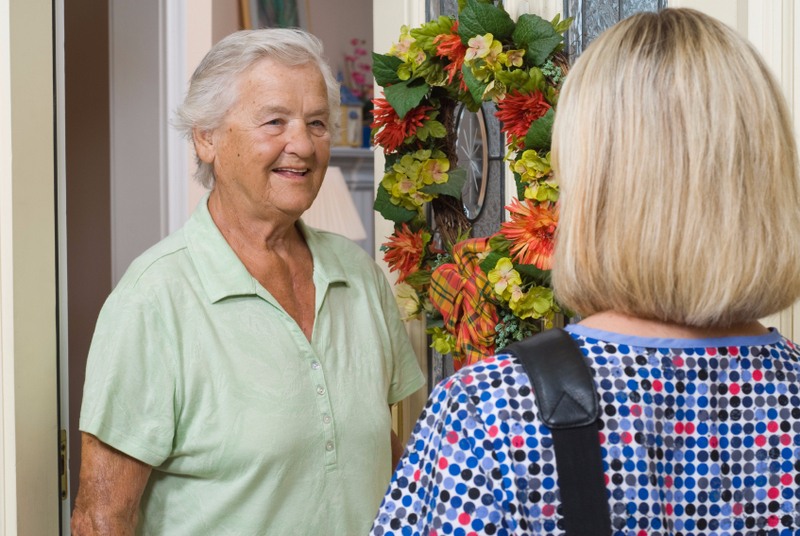 You need reassurance—you need to know that the caregiver arrives on time and remains for the entire shift. Warm Embrace offers complete accountability. All caregivers log in and out for each shift by telephone. When they arrive to your parent’s home, they will ask to use the telephone to place the call. The system can recognize that the call is being placed from your parent’s home phone line. At the end of the scheduled shift, the caregiver will again call the system. The call only takes about 20 seconds, but it offers complete accountability. A regular schedule is set so that your loved one knows whom to expect and at what time. Your loved one will be given a set schedule with a precise time for the caregiver’s arrival—not a range of a few hours in which someone might arrive. With your parent's permission, you can have online access to view their schedule. Caregivers will clock in and out of their scheduled shifts using your loved one’s phone. This guarantees that every client has the help they require exactly on time. There are situations where you might need help beyond your regularly scheduled hours, and we’re happy to assist in those cases as well. Your loved one might have a doctor’s appointment at a time when they don’t have a regularly scheduled shift; we can provide a caregiver. Respite care, convalescent care, vacation coverage, or palliative care are all arranged as needed.